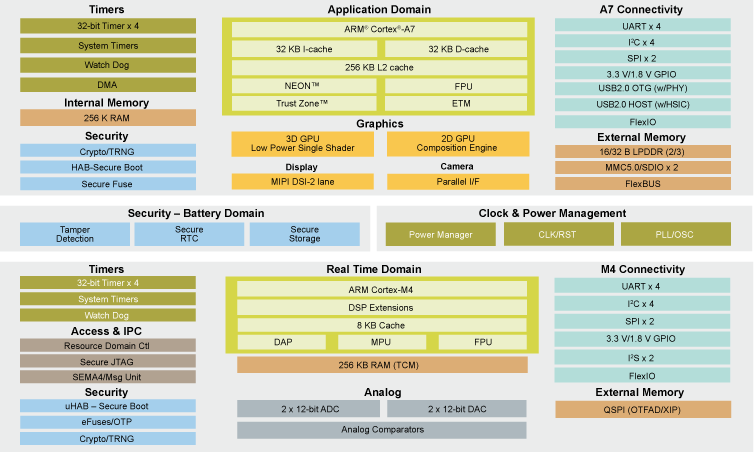 NXP unveiled another variant of their i.MX 7 Cortex A7 processor last year, and I missed it. 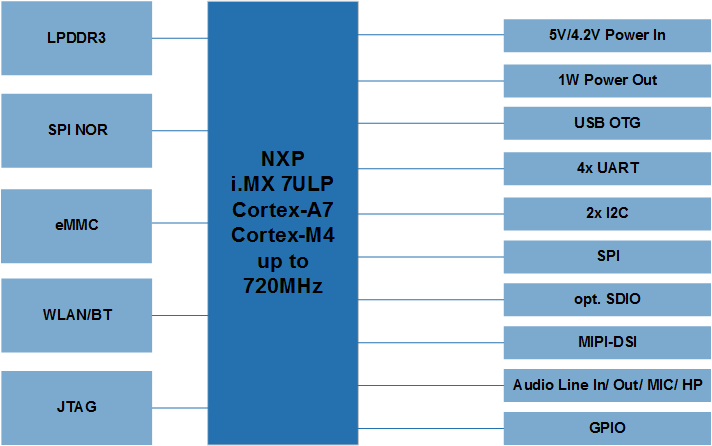 NXP i.MX 7ULP offers many of the same features as i.MX 7, but is manufactured using FD-SOI (Fully Depleted Silicon On Insulator) process technology to offer lower power consumption, as low as 15 mW or less in deep sleep, or 17 times less in comparison to i.MX 7 devices, while the dynamic power efficiency is improved by 50 percent on the real time domain (Cortex-M4). 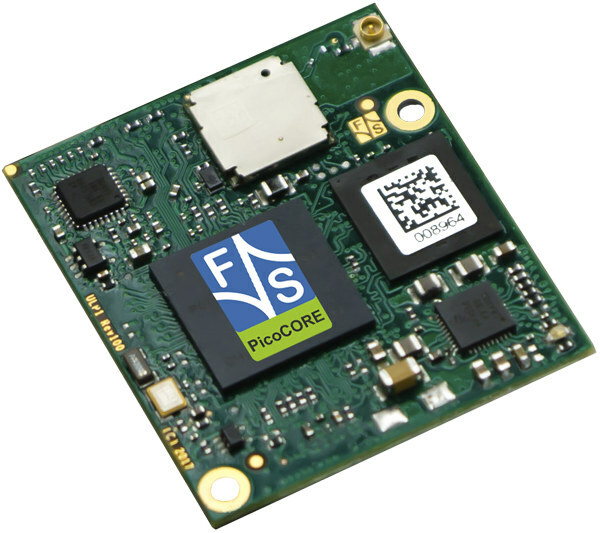 I found out about it thanks to an email from F&S Elektronik Systeme about the introduction of their PicoCORE MX7ULP module – based on i.MX 7ULP processor – at the Embedded World 2018 conference. Power Consumption – 1W typ. The module is suited to projects requiring small size and/or low energy consumption. The company will provide support for Linux running on the Cortex A7 core via the Yocto Project, and FreeRTOS for the Cortex-M4 core. A starter kit will also be available, but no details have been released at this stage. Official launch is planned for Q3 2018, and Long Term Availability is ensured until 2028. More details and documentation should eventually be found on the product page.